In his masterpiece Thus Spoke Zarathustra, Friedrich Nietzsche presents a beautiful and profound metaphor for human evolution. massive paradigm shifts one has to go through to move on to the next step, until one finally becomes a Child. I find his view of human growth tremendously empowering and insightful. It’s been a major catalyst for my personal growth, especially lately, when I realized I was “stuck” at the Lion stage. Here’s the way I see and apply it. 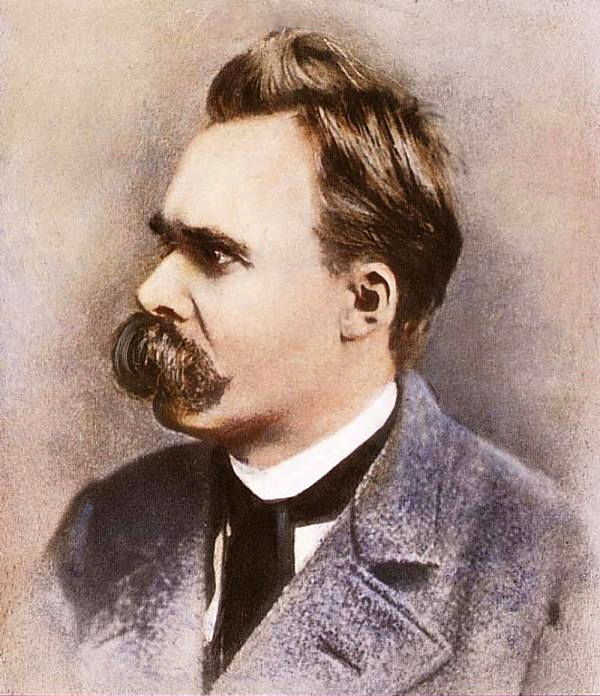 The first stage of Nietzsche’s metaphor is the Spirit. The Spirit is rather invisible and unremarkable. It represents humans who live passively, take no risks and fear discomfort more than anything. The Spirit’s behavior is sheepish ; it’s a creature of routine and safety whose purpose is to get by. Sadly, many seem to live in such paradigms: people who approach life as victims or who don’t take responsibility for themselves are Spirits. They live a resigned and fearful existence, not accomplishing much else than surviving. To grow, the Spirit has to transcend this paradigm by rising to the challenges of the world with courage and power. Only then will it undergo its first transformation. Having decided to use his own power to overcome itself, the Spirit becomes a Camel. The Camel is a carrier, a beast of burden. It voluntary takes on weight to see its limits and isn’t intimidated by discomfort. The Camel is not merely getting by, to the contrary, it demands the maximum out of itself. It yearns for more than the comforts of a safe and predictable life. He thus takes the challenges of life head on. Faced with these responsibilities, the Camel is eager to show its skills and knowledge. Although it has faith in its capabilities, the Camel doesn’t question the values and obligations imposed upon it. It is a “nice guy” that does not ruffle feathers. The Camel only proves his strength and power by conforming to the subconscious rules he lives and thinks by. I see the Camel as an accomplished person who still lives in the “Matrix”. Whereas the Spirit lost at the game, the Camel “wins”. Yet, the Camel is similar to the Spirit in that it doesn’t challenge the game’s rules. Both live in the same jail. Being an enthusiastic seeker, the Camel explores, learns and experiences this jail (or the “Matrix”) to its full extent, but doesn’t escape it. If it fails to question the fundamental assumption of its world, the Camel could spend its whole life jumping through imaginary hoops, becoming nothing more than the “emperor of its own jail”. However, the Camel who longs for truth can also wake up and realize the pointlessness of living according to values and paradigms that are not its own. Realizing that it is not free, the Camel begins its following transformation. Seeing the absurdity of living in a golden cage, the Camel becomes a Lion, who craves freedom above all else. Unlike the Camel, the Lion sees that nothing stops him from rejecting moral codes and duties. Determined to get liberated from external values, obligations and assumptions, he is ready to fight. The Lion discovers that what he held as true and good is nothing but a reflection of what others led him to believe. There is no such thing as universal truth or morality. The Lion thus begins destroying what others have built up inside of him. The Lion realizes that nothing stops him from imposing his own will upon the world. Despite having eliminated all his hurdles, the Lion’s existence still depends on existing structures. He is reactive because he only exerts power against what already exists. His freedom is negative in nature ; he is free from the jail, but doesn’t know how to live without it. His existence, so far, has been either for the jail (as a Camel) or against the jail (as a Lion). He has never lived for himself. For the Lion to truly break free of slavery, he has to completely let go of the idea of the jail and create his own fresh and innocent existence without it. If he continues defining himself in opposition to the jail he has escaped, the Lion will get stuck, being just as controlled by it as if he was still imprisoned. The Lion is a means for something greater, not an end in itself. I can intimately relate to the Lion. For most of my adult life, I’ve literally been obsessed with freedom. What I desired more than anything was an escape from systems and expectations created by others. Aware of the chains and constraints that came with seemingly harmless worldly pursuits, I strove to break free from them with all my will. In the past years, I’ve thus focused on eliminating physical and mental burdens (I discuss what I did in this post). By focusing so much on achieving freedom from the world, I had forgotten what I wanted freedom for. There I was, lying in an ocean of nothingness, on a blank canvas… I had nothing to fight against, and didn’t know what to do. It was like getting the blank page syndrome… with my life. Having destroyed his jail, the Lion is left with emptiness. To become a Child, he has to let go of this process of destruction and stop saying “no”. He must create his own new meaning from emptiness. Instead of reactive, the Lion has to become proactive. Once the Lion has acquired freedom by rejecting the influences of the world, he has to forget his past and move on to a new beginning ; he must become a Child. Seeing life as a joyful game, the Child uses the emptiness left by the Lion to create his own meaning. The Child is not seeking for external answers or approval. Unconcerned with the worries and expectations of the earlier stages, he is affirmative, confident and just doesn’t give a */$%. The Child’s life is not a reactive battle against external forces anymore. Instead, he continuously creates his own reality out of a state of play and cheerfulness. The child is not interested in solidifying his “identity” or his newly created values; he perpetually lets them go and builds new ones. I love this ideal of returning to a state of playful and empowered childhood. Personally, I am struggling with transitioning from the Lion to the Child. The habits I developed as a Lion helped me break free from what I found limiting, but now these habits are limiting me. I look forward to using this precious freedom to create a fresh and empowered life. I don’t see Nietzsche’s map as a one-way, but rather as a cyclical and fractal process of accumulation, destruction and creation. At some point, the Child may realize he’s becoming a Camel by clinging to some identity. At that point, he’ll have to transform into a Lion to break free, and therefore resume creating as a Child. If you haven’t read Thus Spoke Zarathustra yet, do yourself a favor and buy yourself that epic book for Christmas. It offers practical insight to anyone looking to question their own belief systems/values and overcome themselves. Don’t you think Thus Spoke Zarathustra It’s a very “rough” read for most? Leaving out the oh so important fourth phase. The over man. It is crucial to remember that the ultimate end goal it transcendence.